Raleigh work with a variety of corporate partners such as Google, BNP Paribas (Suisse) and Nationwide Platform, that share similar global goals. They offer resources to development programs such as time, expertise and funding. Raleigh also work with Buildbase/Hirebase, one of the UK's largest building merchants who funded the water, sanitation and hygiene (WASH) project In the village of Nyamwezi. Buildbase sent 7 employees from the UK to assist with the construction work. Before the project, 1200 students at the school in Nyamwezi shared 8 poorly maintained drop hole toilets. The old toilet block was dilapidated with no doors, running water or hand washing facilities, it was also dangerously unhygienic. The new block would have 18 toilets with doors, separated into girls and boys by a hand washing station, as well as a menstrual hygiene management (MHM) room. My first visit was for a project planning visit (PPV). PPV's enable project managers to arrange homestays for volunteers, inspect the building site and meet the teachers at the school. 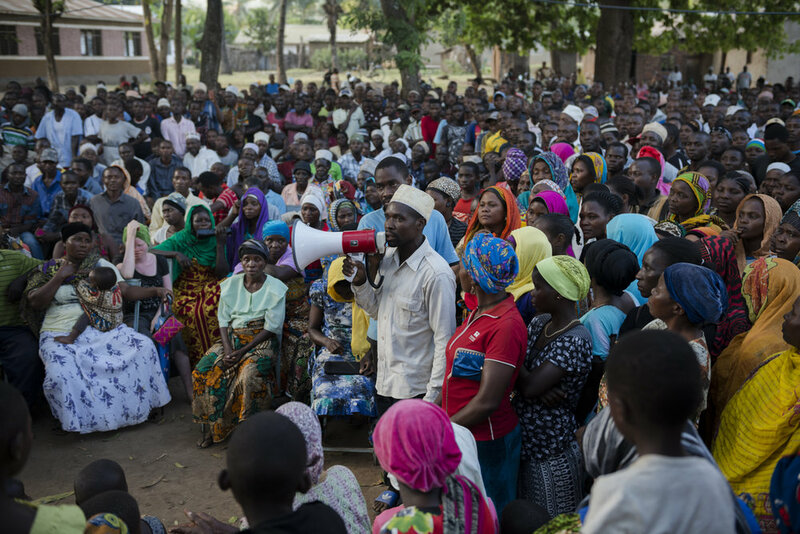 During PPV the village chairman Martin Likwachala set up meetings with village leaders, which gave the project managers an opportunity to explain their intentions and to set up positive relationships for the remainder of the project. During my second and third visit to Nyamwezi I photographed the project through its advanced stages. Kate Tinsley and Adrian Watts, CEO and Managing Director of Buildbase/Hirebase, flew out to Tanzania and I photographed them as they attended meetings with community members.